Selecting a foreign currency trading account type. Registration as a foreign currency trading user. Foreign currency trading Account activation. Foreign currency trading sites offer two options as account types to choose from: Individual accounts and corporate accounts . Individual foreign currency trading accounts are for users that aren't affiliated with a trading company, but the two accounts are very similar. There may also be a preferred costumer account, available for foreign currency trading investors with large amount of investing funds. When opening your first currency trading account, make sure your placing your money in a spot account and not in a foreign currency forwards or futures account. The SPOT account means that your trading is for real time changes in the market. This is the investment option that almost all of foreign currency invertors choose, because it is easier to manage and monitor real time changes in the foreign currency trading market. The spot account gives you online and real-time calculations of profits and losses, which are perhaps the most vital things for investors of the first currency trading market. Foreign Currency Application Form -Here you will enter the basic information and details for you account. This includes details like your name, address, size of account and password. Make sure you fill in the correct details and go over the page after you finish filling in the form. Terms and Agreement Statement - Every foreign currency trading site has terms and agreement for investing, so make sure you go over all the details before opening your account. The terms include Consent to Conduct Business Electronically and Risk Disclosure. Here you will also need to read the fine print and find out exactly what are the terms of the Foreign Currency trading account. Another form is the Trader Account Letter and Trader Agreement, which also specifies the agreement details between trader and broker. Confirmation of Foreign Currency Trading Account - After you enter your password, the foreign currency trading site needs to confirm it by sending you a link to your email and having you clicking on the link. This makes sure you entered the proper email and details so your foreign currency trading account can be validated. Sending a Form of Identification - After registering your foreign currency trading form private details, you also need to send the broker one identification form through fax or scanned email. This can be a signature page of passport, a driver's license, or other photo ID card for example. The payment details are sometimes sent only after the account is created. Find out what are the broker's opening hours of operation. Check the value of the major currency pairs that are offered for exchange in the site. Make sure the margin of the foreign currency trading is not too high. Ensure there are no hidden commissions or fees for foreign currency trading. 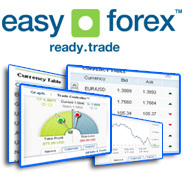 Evaluate the ease of foreign currency trading in the site. Check out the technical analysis services in the site. Find out what are the Requoting policies for foreign currency trading in the website, and how are the quotes Managed. There are more factors to consider when trading foreign currencies. Make sure to study well before investing any money for maximum efficiency and profit.